It’s funny how most people are under the impression that improv piecing means doing things all loosey-goosey, willy-nilly, not a thought or care in the world. I can see how it’s easy to think that because the process is organic it involves no precision, no planning, and no math. On the contrary, it involves so much planning and precision and with that so much math. It is an intuitive process, where the plan develops as you build. With each new development comes the number crunching and the piecing to make things fit properly. There is an order. There are rules. 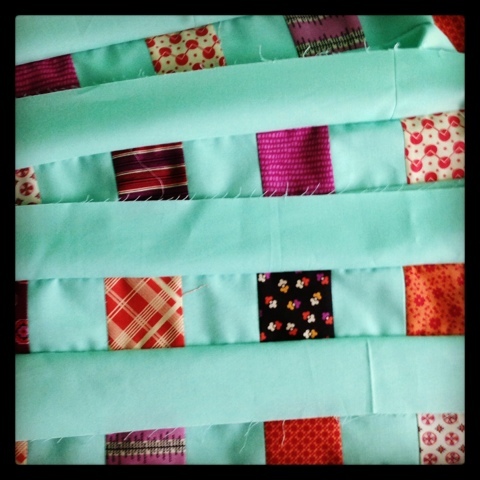 You create the order as you sew. You apply the rules to each part creating a harmonious sum. The plan grows with you; you inform the plan. 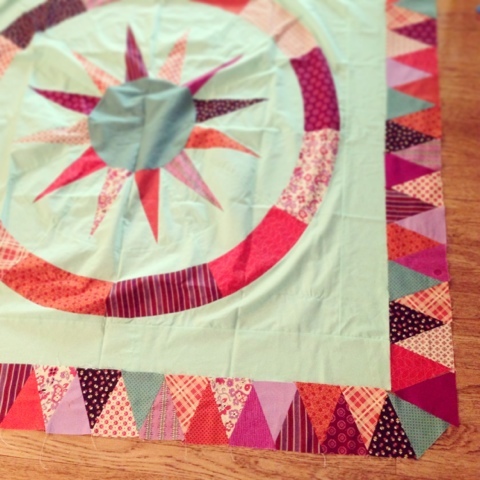 My plan here is to create several borders, making my Celestial Guides into a true medallion quilt. I’m thinking of including both this version, whatever it evolves as, and the original version in the final pattern. I mean, as it stands, the pattern for the original is ready to go, but it might be fun to include the crazyballs version. For now, I have attached the first border, and the second is pieced and pressed, I just have to finish the corners stars and I can attach it all. I’m toying with the idea of flying geese as my third and final border. Or maybe I’ll do quarter-square triangles. I’ve got to measure before I figure it out.